A story of a miracle that sounds completely rubbish, hoax and fantasy but is 100% true. 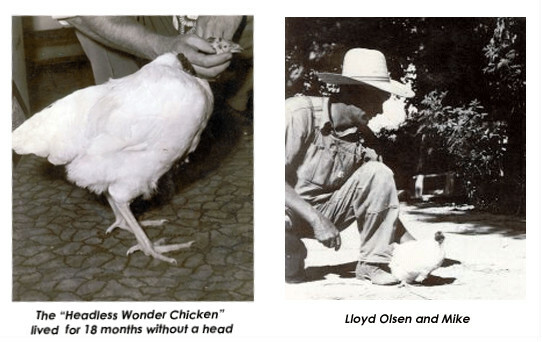 On September 10, 1945, a farmer named Lloyd Olsen of Colorado, US decided to have a chicken for his supper with his family, subsequently he choose a five month old chicken named Mike (named after he got famous). Olsen's axe removed the bulk of head but missed the jugular vein, which keeps the basic functions of the breathing, reflex action, etc alive, a ear and most of the brain. As a result, Mike survived and remained healthy for about two more years. A sideshow of a headless chicken is worth an audience. As mike survived the incident Olsen decided to take care of him and took him to the university of Utah. He was med a mixture of milk and water through a eyedropper. Eventually, he became famous and started touring the country with his owner. Making a career from sideshows in the company of similar creatures, Photographed by dozens of newspaper and magazines, Olsen started charging public 25 cents for live displays. 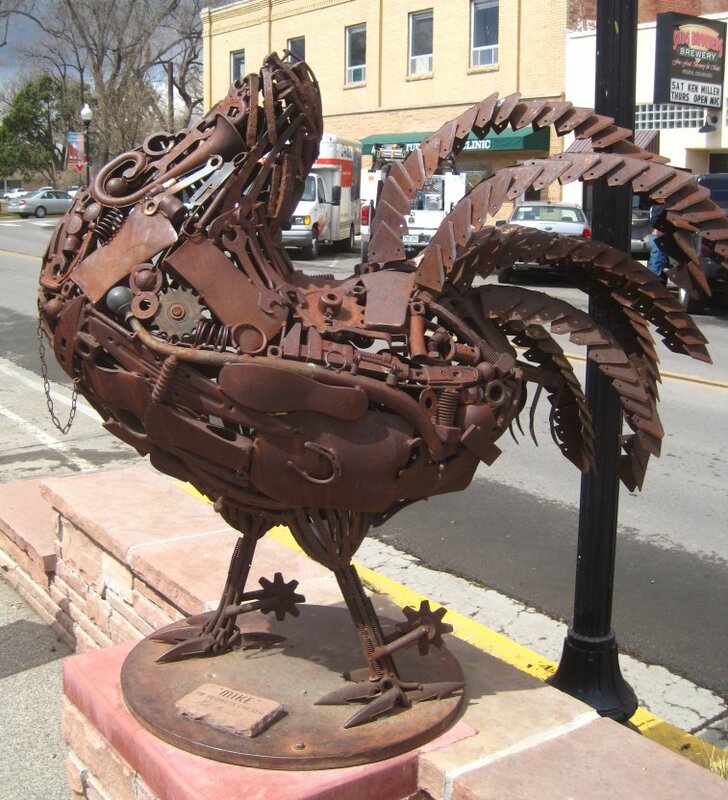 At one time, It was reported that the chicken earned $4500 per month and was valued at $10,000. In march 1947, in the middle of a tour while on a stopover Motel, Mike started choking, Unfortunately his feeding and cleaning syringes was left back at the sideshows a day before and so were unable to save him. Mike, the headless chicken is now an institution in Colorado with an annual 'Mike the Headless Chicken Day' festival with events like Egg toss, 5K run like headless chicken, chicken Bingo etc. Also inspiring a music video for a poultry theme comedy punk band. An Headless chicken just proving the point that world and this life is full of uncertainties.